The Temple, built between September 1989 and October 1990, is truly impressive. It is an expansive, fifty thousand square foot facility complete with several worship spaces, classrooms, and meeting areas. 225 tons of steel went into the building and around 52,000 concrete blocks were used to build it.As one approaches the Temple from the front parking lot, the first thing one notices about the physical building of the Temple is the immense, pyramidal roof. 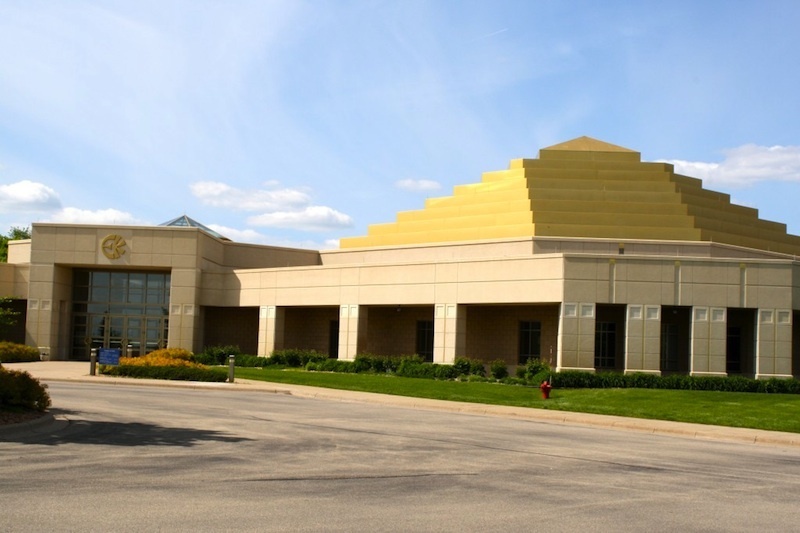 Lauren Alexander, “The ECK Temple,” Religions in Minnesota, accessed April 18, 2019, https://religionsmn.carleton.edu/items/show/1018.